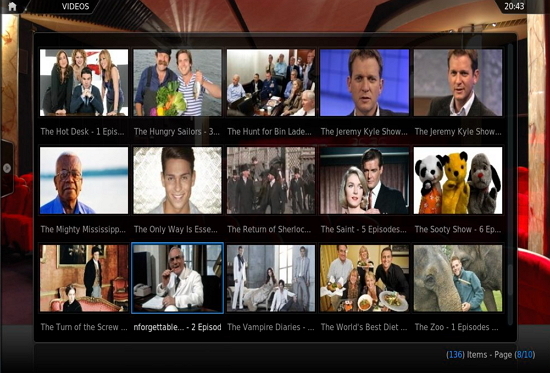 Version 1.0.7 which I tested on XBMC v11.0 (Eden) can be downloaded from here. MKV (matroska video) files often come with multiple audio and subtitle tracks. Not all video players allow to select which audio and subtitle track you want to play. Free Media Player Classic - Home Cinema is my favourite video player and it does allow to switch audio and subtitle tracks in .mkv files. You can download Media Player Classic from the official website. It's also included in one of the most popular K-Lite codec pack. You may have some problem finding where to change tracks as this option is not placed in the most logical place. Another useful tool working with .mkv files is MKVToolNix. It's an open source, multi-platform set of tools to create, alter and inspect Matroska files. You can, for example, easily remove unwanted tracks from the file or change which audio track will be default. Gimp doesn't have built in batch resizing functionality, but it's pretty simple to add it via a plug-in called DBP (David's Batch Processor). Download Windows version of DPB from here. (For Linux version check DPB home page). Rename Tab: Choose where resized pictures will be saved. Output Tab: Select and configure image format. Click on Start to begin batch resizing.